This sword Mumei sukesada belongs to regular saku ranking. Habaki : Gold foiled single habakki. Blade length :　64.9　cm or 25.55 inches. Sori :1.0cm or 0.39 inches. 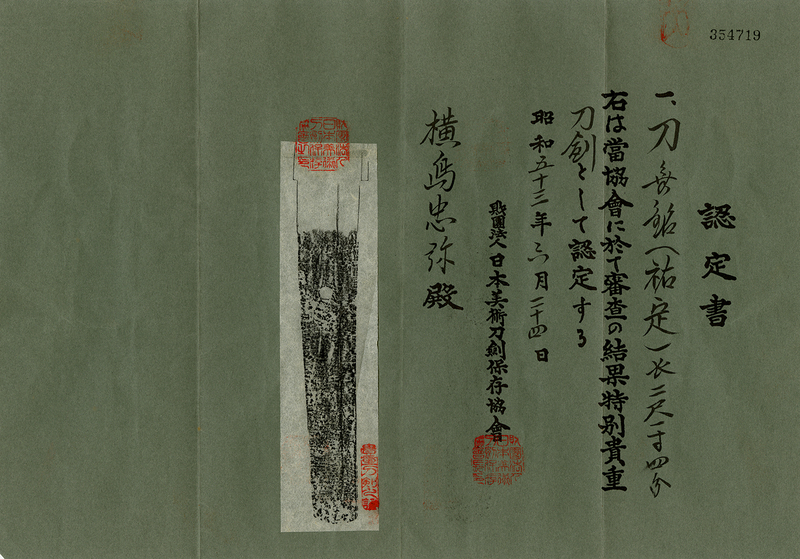 Width at the hamachi :3.03 cm or 1.19 inches. Kasane : 0.65cm or 0.26 inches. Era : Late Muromachi period, about 450 years ago. 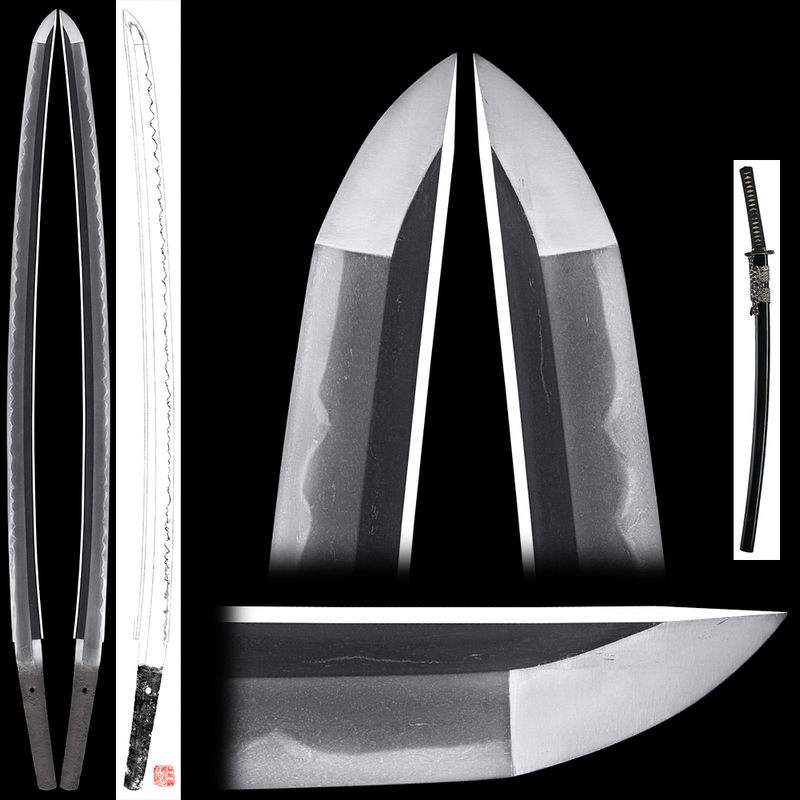 Shape : The blade is Ubu style with balanced width, thickness and rather deep sori, longer Kissaki nice looking shape. Jigane : Koitame hada well grained with Jinie attached nice Jjigane with no Kizu or flaw. Hamon : Konie-deki Gunome Midare and Togari Gunome Midare mixed. special feature : Sukesada group was working from mid to late Muromachi period. The best quality is Zokumyo-uchi sword maker like Yoso Zaemon Sukesada. sword smiths made a lot of swords as mass productive items. I think this sword is one of mass productive item but pretty good condition with no Kizu or flaw. I think the blade has been kept in good condition for a long period about 450 years by the owner. Tsuba : On the square cross design iron tsuba, some sukashi(open work) engrave with gold and silver dotts. Katana: Miyakawa Hidekazu Saku / Manen Gannen 12 gatsu hi. (Edo Period Manen 1st year December) 1860,December.